Modern and Elegant Responsive Wedding theme. 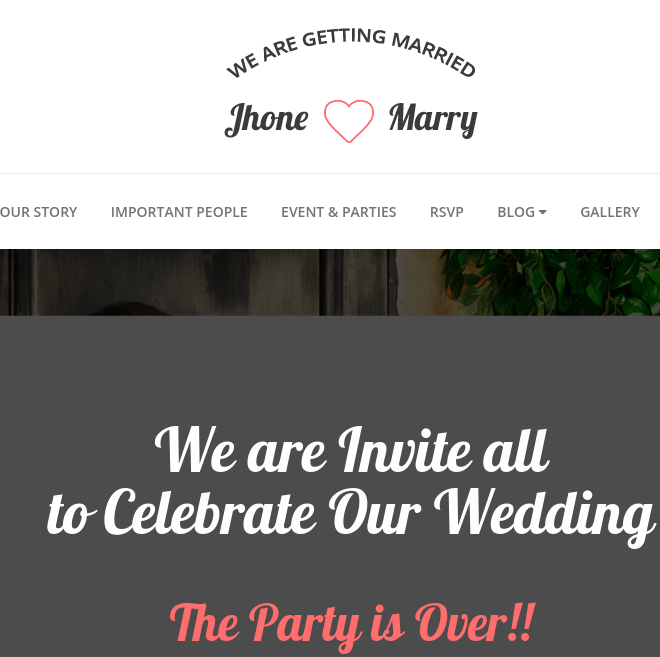 Best Day is a beautiful wedding theme comes with responsive and retina ready layout. It looks perfect on every device regardless of its screen size. It comes packed with bundle of features. It is compatible with almost all popular browser and works well with latest WordPress version also. It comes with 4 page designs like brown retro, red cherry, blue sea, pink flower etc. It looks fabulous when you add your event information and wedding photos in on your site. It has page builder in built. Which allows you to add element by just dragging and dropping. Various elements are in-built in this page builder such as Text Block, Row, Separator, Text Separator, Message Box, Facebook Like, Single Image, Image Gallery, Tabs, buttons, etc. It provides CSS3 animation whcih will help to attract your visitors. It has inbuilt Music player, which automaticaly starts when a visitors enters a page. It has Ajax RSVP Form. You can hget RSVP’s from visitors. It also comes with wedding countdown timer where you can easily set the exact date of your wedding, and it will count back until the day of marriage comes. This theme is suitable for Wedding and event management, It look and color combination is really impressive which impress the visitors and the photo and content was very attractive on any devices. Really impressive theme for Wedding Invitation…!